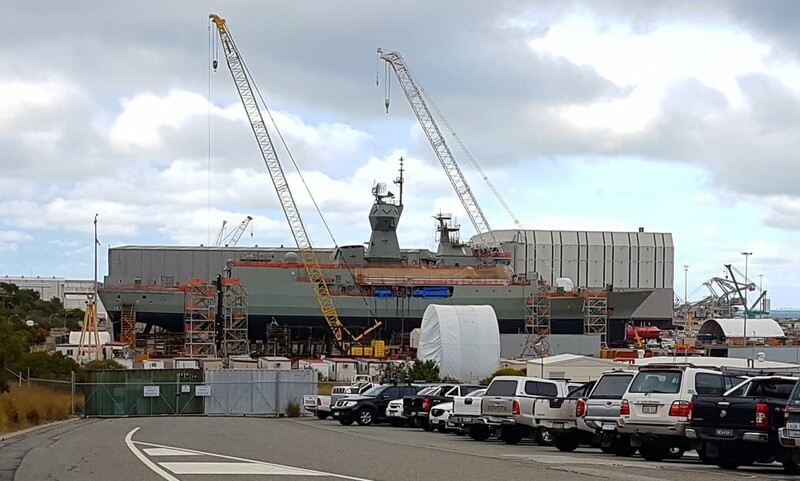 The Australian Commercial Marine Group (ACMG) today echoed concerns raised by the Australian marine industry that much of the work in the long-awaited naval shipbuilding programs may be conducted by overseas companies and possibly foreign workers. Major Australian shipbuilding companies recently became alarmed about comments made in parliament indicating that there is no quantified amount or percentage of work on projects like the $30 billion future frigates program to be performed by Australian companies and workers. Australian Shipbuilder Austal has warned of a foreign takeover of the nation’s naval shipbuilding industry, which would impact on Australian naval shipbuilding capability for the next 30 or 40 years. According to AIMEX President Richard Chapman “It is vital to the future of our shipbuilding industry and associated supply chain businesses that Australian content and involvement in these major projects is maximised to its full potential. If we want an Australian shipbuilding industry that is competitive on a global scale, maintaining high levels of Australian marine industry involvement in these projects is essential to long term building of the necessary infrastructure and skillsets. At the end of the day, this is all about jobs for Australian workers”. Approximately 2000 jobs are envisaged to be necessary to build the 9 frigates. Construction is due to commence in 2020. The governments original commitment was to create “an Australian industrial base underpinned initially by experienced international ship designers and builders who transfer these attributes to Australian industry”. The government is due next year to choose the winning ­designer of the frigates between British shipbuilder BAE, Spain’s Navantia and Italy’s Fincantieri. The tender documents for the future frigates program state that the winning European designer can manage and source its workforce from anywhere in the world. Spanish shipbuilder Navantia is offering an evolved version of the Hobart-class destroyer, Italy’s Fincantieri warship would require some local modifications and the United Kingdom’s BAE is proposing its cutting-edge Type 26 design frigate. The successful tenderer will be advised late 2018. The Australian International Marine Export Group (AIMEX) is the peak body for the Australian Marine Export Industry, which generates over 1.2 billion dollars a year for the Australian economy. Its primary purpose is to develop and promote Australia’s thriving Marine Industry to the world.